We are please to welcome the newest members to our team: Women’s International Master, Mai Narva, and International Master, Matyas Marek. Check out our EVENTS & TOURNAMENTS page for past & upcoming events and tournaments. UMBC is a mid-sized, public research university offering bachelor’s, master’s, and doctoral degrees. UMBC combines the emphasis on teaching found at the best liberal arts colleges with the innovation of a research university, offering nationally recognized programs in the arts, sciences, engineering, technology, policy and the humanities. 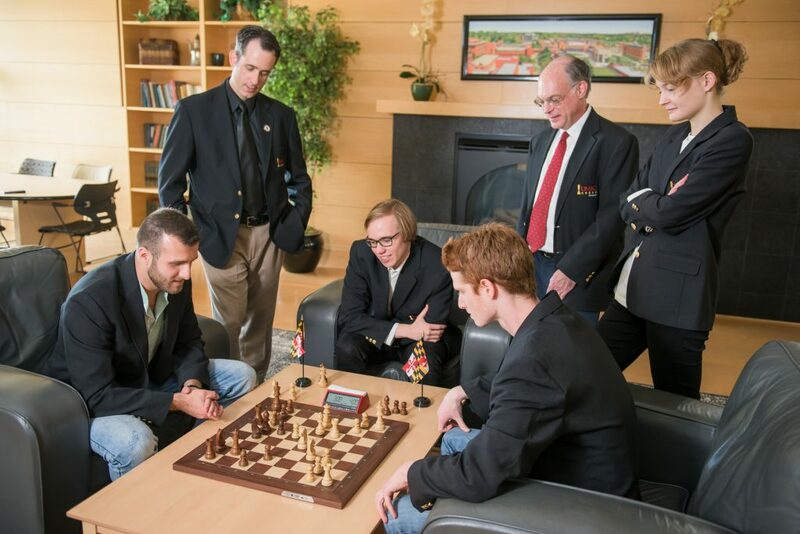 Qualified for The President’s Cup: The Final Four of College Chess a record 15 times! 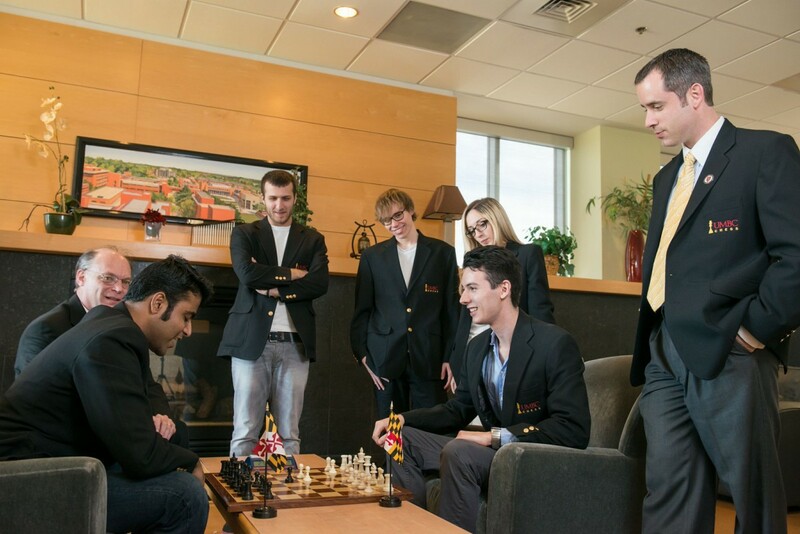 The UMBC Chess Team competes in major intercollegiate chess tournaments such as the Pan-American Intercollegiate Team Chess Championship (held each December) and the President’s Cup (traditionally held in early April), in addition to several preparatory tournaments in between. UMBC hosts two open tournaments each year, the UMBC Championship in September, and the UMBC Open in March. Team and Club members engage in chess-related community service, often by hosting lectures, camps, or partnering with local schools to promote after-school initiatives.